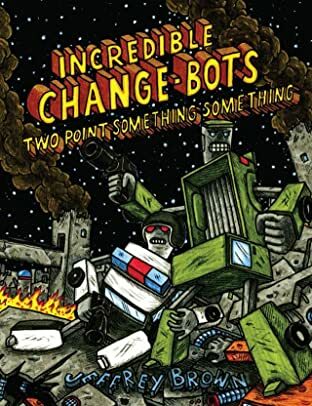 Far away in space, there is a planet populated by machines able to change from robot form to vehicle form --- the Incredible Change-Bots! 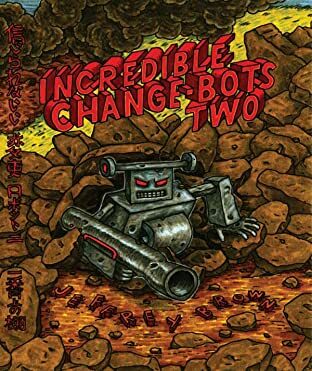 Leaving their war-torn planet, the Change-Bots arrive on Earth, where their battle continues -- BUT AT WHAT COST?! 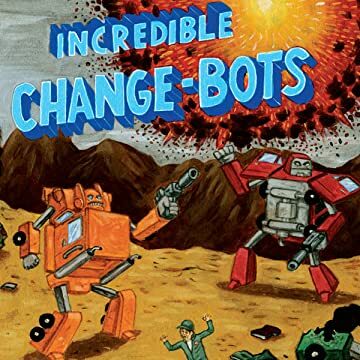 Part parody, part nostalgic tribute, part moral fable, with Incredible Change-Bots Jeffrey Brown re-invents the shape-changing robot genre into a goofy action comedy that's full of romance, melodrama, and epic battles! 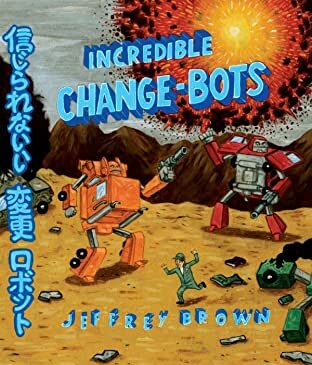 The first FULL-COLOR graphic novel from Jeffrey Brown is an all-ages friendly (only one guy and some robots die) explosion of sci-fi fun.